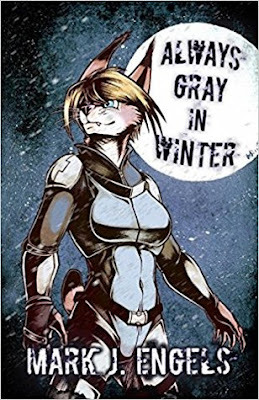 Always Grey in Winter is a very complex story of feuding werecat families. The story starts out strong, in the middle of the action. The book is very imaginative, full of suspense and action. The writing is very good, it just pulls you right in and the dialog is on point - it makes the story very realistic. However, there are a lot of characters and lots going on. At times I had trouble keeping up with who is who and what is going on.